Phil Watkins points out there is a lot more involved in protecting staff and visitors to the surgery from fire than alarms and extinguishers. When applying for CQC registration, how many GPs and practice managers really understood the reference to that small print item, the Regulatory Reform (Fire Safety) Order 2005? Will you be able to respond appropriately if a CQC inspector asks you how often fire risk assessments are undertaken? Usualy referred to as the fire safety order (FSO), the effect of this legislation on fire safety managers, the responsibility they take on and what it entails, particularly in ‘care premises’, is wide and varied. Puts responsibility for fire safety in non-domestic properties with a designated ‘responsible person’. The responsible person must carry out fire risk assessments and put in place appropriate fire safety measures, based on the specific circumstances of their premises. The order is enforced by periodic inspections or audits by the enforcing authority (usually the fire and rescue authorities). Larger care premises such as hospitals will almost certainly have a full- or part-time fire safety manager. At GP surgeries the ‘responsible person’ under the FSO who, in effect, is the fire safety manager is likely to be the practice manager. If this is the case, they are probably also the designated ‘responsible person’ for all CQC-related matters. If the FSO has so far escaped the responsible person’s close attention, download it and the accompanying government guidance from the internet. While unlikely to be hugely onerous for GP practices, the amount of fire safety management required under the FSO (and therefore to be CQC compliant) is dependent on, among other things, what the building is used for, the number and type of occupants (both staff and visitors), the hours of operation and the number of floors. 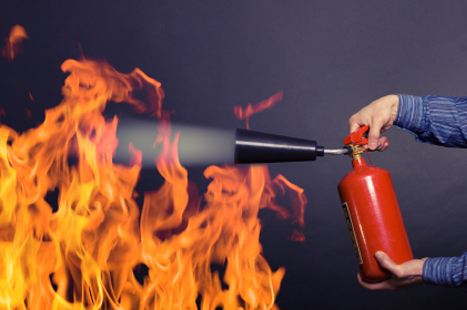 It really is not just a case of ensuring that your practice has a fire detection/alarm system along with a fine selection of fire extinguishers. Fire safety managers have to carefully manage (in the true sense of the word) the building and prepare a written fire risk assessment. Depending on premises size and complexities, this could be a few pages or, for larger premises, a folder of information. The FSO imposes a duty on the responsible person to carry out a fire risk assessment that should consider the safety of both employees and non-employees. In addition, there is a range of other specific duties in relation to the ‘general fire precautions’ of the premises. Assessing and reducing the potential fire risks and fire spread in and around the building. Assessing the suitability of the means of escape from the premises. Ensuring those means of escape are available to use. Fire detection and fire warning systems. Action to be taken in the event of fire. Instruction and training of employees. This all sounds very simple and, to a degree, it is. I often compare it to owning a car; there are rules for driving and guidance for maintaining it; most of it is common sense and some of it can be done by some of us. There are some things that can be completed with the help of a manual but, as a rule, we will at some point have to go to someone who knows what to do and who will maintain it in a fully legal and safe condition in order to get that MOT. Fire safety management is much the same. Depending on the fire risk assessment methods used, there could be between five and nine stages involved. The method in the government document 'Fire risk assessment - healthcare premises' involves five stages, but other recommended organisations such as BSI in its fire risk assessment guidance, use up to nine stages. These help to ensure findings are satisfactory and a suitable action plan can be prepared (and problems graded) to deal with fire safety issues. The written fire risk assessment should be ‘suitable and sufficient’ and identify the ‘general fire precautions’ required and how any 'significant findings' are managed. It should be reviewed regularly - generally annually - and detail the appropriate fire safety arrangements on how fire safety is planned, organised, controlled, monitored and reviewed. Risks from dangerous substances should be eliminated, reduced or controlled and, where necessary, separate risk assessments completed to allow for an appropriate fire strategy to be implemented for the potential hazard created. The role of the fire safety manager requires the authority to complete the task fully. They will have to ensure that the fire risk management system they put together operates efficiently. Good coordination and communications are required to tie together the training, the maintenance and testing, the resources available, any emergency/contingency planning in place, the fire risk assessment and findings and the control of the work to complete all of these tasks. Once finalised the fire safety manager can then be sure that those ‘relevant people’ using their building are safe from fire. CQC inspection explained: What does the CQC assess? Safeguarding children and adults: What does the CQC expect?